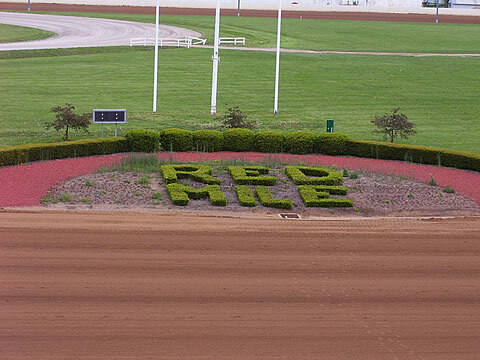 The Red Mile is a horse racing track located in Lexington, KY. The track hosts harness racing, a type of horse racing in which the horses must pull two-wheeled carts called sulkies while racing. It is one of harness racing's most famous tracks and is located in the heart of the Bluegrass region, an area of Kentucky famous for horse breeding and racing. The race track itself is one mile long and made of red clay. From this, it is obvious to see how the name originated. In addition to the track, The Red Mile features a two-story clubhouse, a round barn, and a park. The clubhouse is often used for weddings, parties, and other gatherings. The Tattersalls area can accommodate large groups and is often used for horse sales. The track was founded on September 28th, 1875 and was sponsored by the Kentucky Trotting Horse Breeders Association. Attendance to the opening races was minimal because the track had not been advertised. Once newspapers published articles about the new track, attendance picked up. The track is the second-oldest harness racing track in America and the oldest horse racing track in Lexington.